It's two years since MovieMix on Freeview channel 32 started broadcasting in its current format. The channel has now begun the first full week of 2015 with a revised on-screen look and a new website. The channel has a revised logo, building on the basic rectangular box logo it introduced last year, along with new look programme presentation elements. A new website specifically built for the Freeview channel has also been introduced at www.moviemix.co.uk, ending the recent anomaly that saw adverts for MovieMix appear in Christmas and New Year TV listings magazines with the Sony TV website listed at the bottom, despite the Sony TV website carrying no references to MovieMix. Among the movie highlights this month are Anna Katerina starring Jacqueline Bisset and the late Christopher Reeve as well as the Keanu Reeves sci-fi movie Johnny Mnemonic. 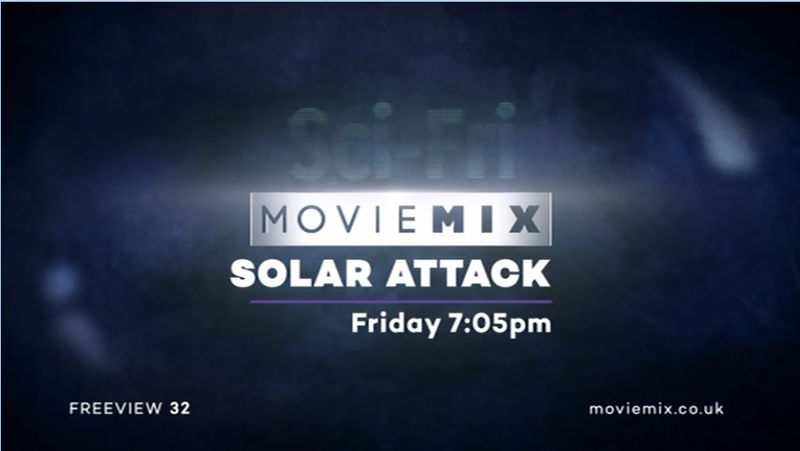 MovieMix has lost much of the non-Movie programming, such as Baywatch and Storm Warning, previously featured on the channel. MovieMix originally morphed from shopping and gaming channel Big Deal under the control of Square 1 Management and started carrying programmes from More>Movies on 17th January 2013, when the satellite channel itself rebranded from its former identity: Men&Movies. Movie Mix is now part of Sony Pictures Television's portfolio of channels licenced to broadcast on Freeview under a subsidiary company registered at the media giant's London address. The gradual morphing of the channel from Big Deal to MovieMix and a slow transfer of control ensured that the service didn't fall foul of Freeview channel allocation rules that stop new channels leapfrogging existing channels on Freeview - i.e. stopping new entrants to Freeview buying channels for their favourable Freeview channel number and then replacing them with a brand new service. Only 'channel families' of associated channels are allowed to leapfrog other services in order to swap and replace their sister channels on Freeview.